The 70's have made a comeback in a big way for SS15 and we are loving it! Fashion trends have travelled back in time, as both the catwalk and high street retailers are array with throwbacks to the groovy styles of the 1970s. This decade saw many iconic fashion trends and is often referred to as a fashion revolution. The style trends during this era heavily reflected the culture, described as being free and experimental; people were not only challenging the barriers of society but the limitations in fashion. While there are a lot of fashion highlights from the 70's, only a few have made it into this year's look; we can expect to see an eccentric mix of clashing fabrics, bold prints, flared hems and fringe detailing. Back in their heyday, flared (or bell-bottomed) jeans and sleeves were a popular choice for both males and females. One look which we can all recognise is a tight fitting turtle neck jumper tucked in into a pair of high waisted flares. This can be easily replicated today and can look super chic. Or, if you don't fancy a jumper try a pretty crop top, like this lace crop top which oozes 70's glam. Shift Dresses have actually been pretty trendy for the last few years, so if you own one now is the perfect excuse to get it out and give it a 70's twist! 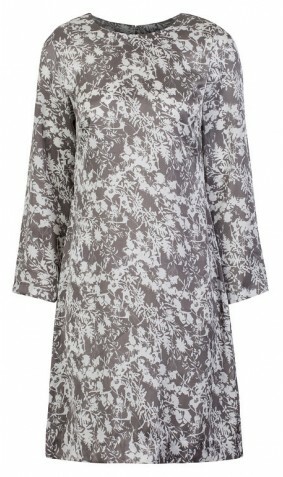 Here is one of our favourites, the beautiful Jasmine Printed Shift Dress from ROSAvelt. However you chose to express your take on the 70's style, make sure you get creative and have fun!